As we wrap up 2018, and also celebrate Thanksgiving this week, I can’t help but be completely overwhelmed with gratitude for the amazing people that are brought into our lives through this business. What started as an art that Paul and I both enjoyed in college has grown into a company that totally blesses our socks off. Casey and John are the perfect example of clients we feel blessed to now call friends, and reliving their gorgeous day at the Mellwood Art Center in Louisville, Kentucky makes our hearts soar! These two just got back from Aruba (*cough* not jealous at all *cough*) and as they settle back in to everyday life as newlyweds, I thought it would be the perfect time to take them back down memory lane at Mellwood. We started off the day at Casey’s parents’ home in Louisville. Not only were we instantly greeted with so much hospitality and friendly faces, but the joy in the room was palpable! From the details, to the girls laughter, I knew it was going to be an amazing day. Emotions ran high all throughout the day. From heartfelt gifts and letters, remembering loved ones, first looks with tissues, sobbing groomsmen, touching toasts and ultimately joy filled belly laughs… it was such a memorable day. So without further ado, enjoy a few of our favorite images from John and Casey’s Louisville, Kentucky Mellwood Art Center Wedding! To the new Mrs. and Mrs. Gray… Paul and I pray that you choose to laugh this loud and love this deep everyday you are together. Marriage is a choice and sometimes it’s hard, but you guys are the real deal. We love you! Congratulations!! I will forever and ALWAYS be a huge fan of first looks. Not because of the timeline. Not because it gives you more portraits… but because of this raw emotion. These two got to spend MOST of their day together and with their best friends instead of in hiding! They got to speak honest words to each other when they first saw one another. They got to embrace and spend as much time as they needed, and boy, there wasn’t a dry eye watching them! Now for the moment most wedding parties think I’m crazy… and I love it! Thanks for being great sports, everyone! To the amazing vendor team who put on such an incredible event; THANK YOU! These are amazing! I love how joyful and emotion they are, but really how you captured all of those moments. Mellwood looks like such a cool venue and you captured their wedding perfectly! Mellwood Art Center is such a beautiful place in Louisville, Kentucky for a wedding. I love the way you captured all of the gorgeous details that they had. I am loving all of the shades of blue that they had. Oh, and the first look! OMG! The emotion that you captured was amazing. I felt like I was there. They were so lucky to have found you as their wedding photographer. I’ve never heard of Mellwood Art Center before but it’s definitely on my list of places to go visit if I ever make it to Kentucky!! The wedding was nothing short of breathtaking and the bride and groom just glowed! You did a gorgeous job with this wedding! Mellwood Art Center is such a unique venue to get married. I’m really digging all those industrial vibes! Wow! What a beautiful wedding! I like their style and how happy they are! I’ve never seen a groom cake like that either. Did he love it?! That is so different and unexpected. You’ve made me hungry! LOL! The Mellwood Art Center was a perfect location for this gorgeous Louisville wedding! You captured so much joy and happiness and so many beautiful moments for this sweet couple. Stunning photos! Gorgeous wedding and gallery! I LOVE this venue! My favorite shot is your rings shot with the blue boxes. Beautiful! This Mellwood wedding is stunning! What a gorgeous spot for a reception in Louisville, Kentucky! Such beautiful imagery! I bet the couple are thrilled. I particularly like the greenery in the bouquet. Very well done! The bride is absolutely glowing! You captured so much joy, love and emotion of their day. Mellwood Art Center seems like the perfect place for a Louisville wedding. You are such a talented Louisville, Kentucky wedding photographer. The couple must be thrilled with all of these beautiful images. Mellwood Art Center in Louisville, Kentucky is the perfect place for a wedding! I absolutely love these photos and how every photo perfectly tells the story of their wedding day! And their first look was amazing! I loved the reaction and emotions you captured! I loved seeing all of the great details they had throughout the day, and you photographed it perfectly! Really great job with their photos! They must be thrilled! You have so beautifully captured all of the emotions! She is such a gorgeous bride and they make such a lovely couple. What a beautiful wedding! This location is absolutely stunning. 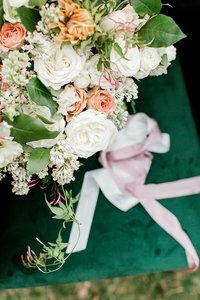 We loved the fall foliage shots outside and the bridal bouquet was gorgeous.